Einangrun is our newest project which we have been preparing this summer. We sent out a call for short stories, poems, plays and descriptions of situations all inspired by a single word, solitude. 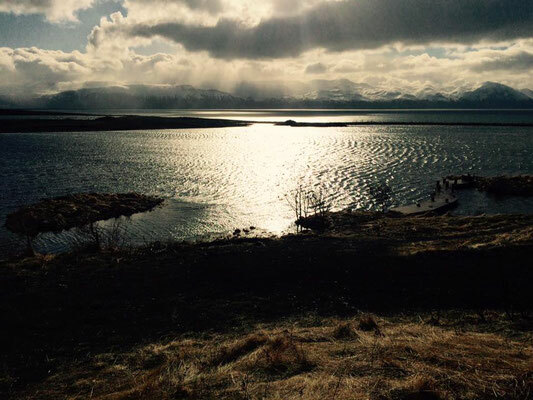 Solitude can be interpreted as happy or sad, personal or geographical and the only limitation was that the authors themselves had to be from the Icelandic countryside. All in all we received 102 texts from 48 authors all over the country. 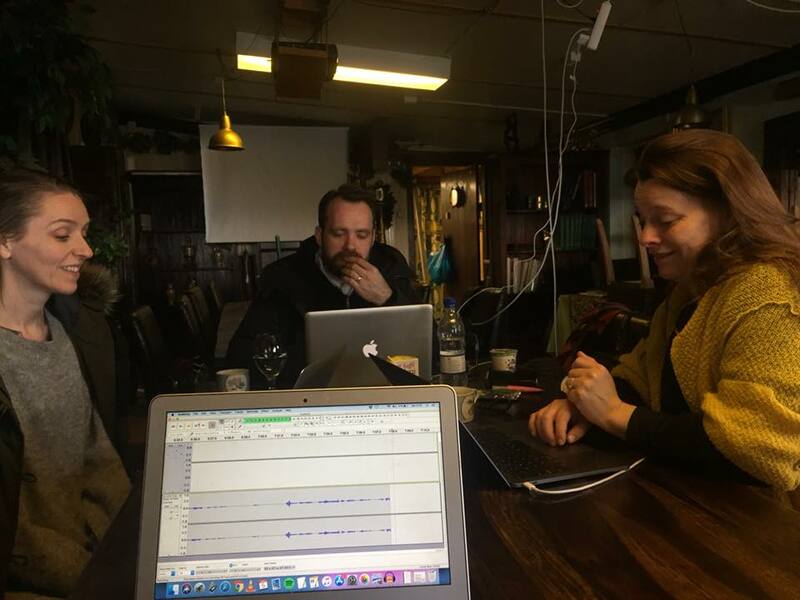 We teamed up with a talented dramaturg, Sigga Lára Sigurjónsdóttir, based on the east side of Iceland who then selected the best fitting stories for a coherent piece (which has yet to be written). We hope to collaborate with our favourite performance collective, Vinnslan, if we get project funding for this. So cross your fingers and expect a melodic, shamanic, heartfelt blast of theatre. Einangrun will be staged 2020. Rehearsals have officially started on Rejúníon and boy are we excited! 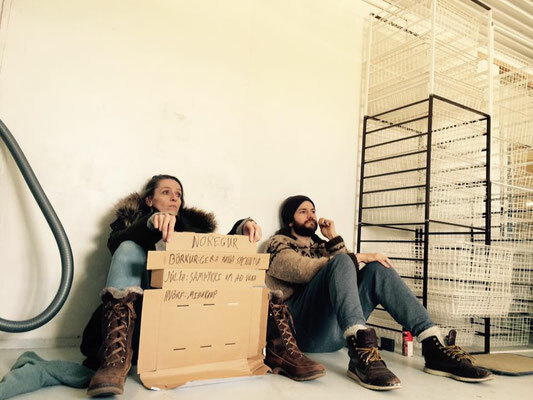 We started working in Tjarnarbíó and will then move to the Dance Atelier which is a super cool rehearsal space in the west side of Reykjavík. Next week our designer Fiona Rigler is coming to town and meeting the actors and seeing the theatre space for the first time. 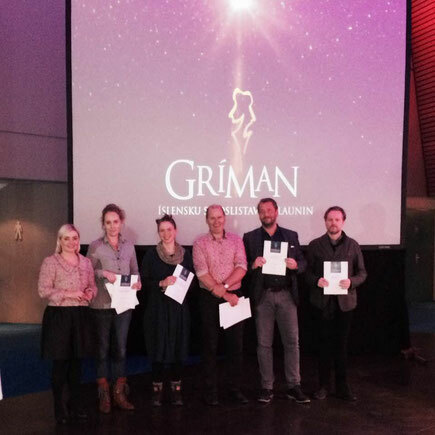 Harpa Fönn nominated for Music of the Year at the Icelandic Theatre Awards! Yay! We are thrilled to announce that our composer and producer Harpa Fönn Sigurjónsdóttir was nominated by the Icelandic Theatre Awards for Music of the Year for Í samhengi við stjörnurnar (Constellations) by Nick Payne. We are of course ecstatic about these news and very proud of her. Of course it's worth mentioning that Harpa is the only woman nominated for these awards. 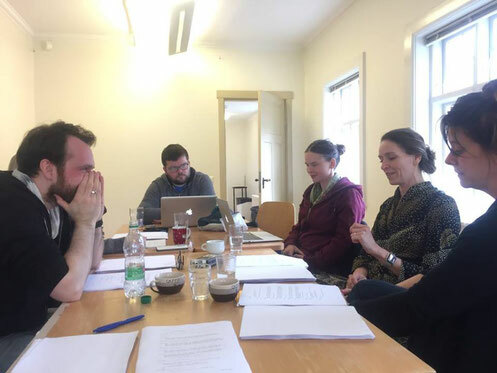 We continued developing our play Rejúníon by Sóley Ómarsdóttir in April. Harpa's family offered us the enchanting Kaldbakur Cottages near Húsavík to work for four days. The scenery, atmosphere and weather during our stay was fantastic! We were really able to delve into the play and try out some exciting physical theatre voodoo. The actors and director were completely delirious with exhaaustion during the end of the workshop but the effort was well worth it. Now we have to wait until September to crack on with this deep and dynamic play. Our dear host theatre Tjarnarbíó offered their rehearsal space for a first test reading of our new project Rejúníon. It was a beautiful early spring day and the first opportunity for cast and creatives to meet. The only person missing for now was our England based designer Fiona Rigler. The play moved us and made us laugh. It really is an exciting piece of writing. There were many exciting comments from everyone and the author will now get half a year to tighten and finish all bits and bobs. 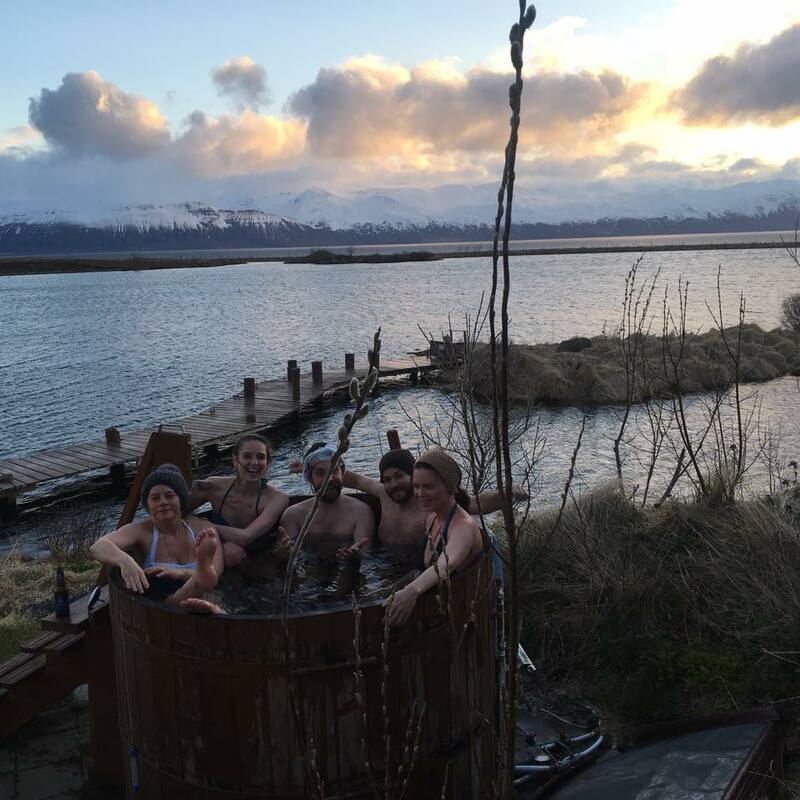 There is always a lot of excitement when a new playwright emerges in Iceland. 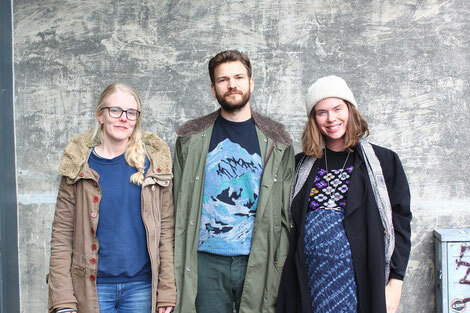 The Lakehouse team was lucky enough to meet Sóley Ómarsdóttir three years ago and spot her as a great playwriting talent. Last year she finished her first drafts of a bitter-sweet play called Rejúníon. Lakehouse was excited to develop this play with her and this year we proudly received artist funds for producing the play. Rejúníón deals with postnatal depression, as well as life changes, love and long lost memories and friendships. Two childhood friends, Júlía and Sólveig, meet after a long seperation to plan a 20 year old highschool reunion for their former classmates. Júlía now has a three year old daughter, while Sólveig is a documentary film maker who travels the world. Börkur, Júlía ́s husband, has already moved to Norway for work, bringing their daughter with, but somehow Júlía has difficulties making the move and constantly finds excuses to delay joining her family in Norway. In the meantime she tries to hold onto memories from her past life, before she settled down. At first the two friends seem to have nothing in common anymore, but childhood ties are stronger than they both realise. **** “Good story, truthful acting and outstanding technical performance.” BL, DV, 2nd of June 2017. Our tiny production has received great reviews from all newspapers in Iceland, the radio and a few well respected blogs as well. We are absolutely ecstatic about this success. For the 2017/18 season we are continuing our run as well as touring around the country. Every decision leads to infinite possibilities and one path can rule out another. María and Ragnar meet up at a mutual friends’ barbecue and they start connecting to each other. And that’s the end of that, except if the go for a pint afterwards? They might spend a night, or a whole life together. The play Í samhengi við stjörnurnar (english: Constellations) by Nick Payne had its Icelandic premiere in Tjarnarbíó last May and received praise from both critics and audience members alike. It will be shown again in the autumn as well as touring around the country. The author Nick Payne draws inspirations from laws of quantom physics and the theory of relativity for his script. Lakehouse Theatre Company has secured the rights for Constellations by Nick Payne and Árni Kristjánsson is now translating it into Icelandic. The show will be premiered in Tjarnarbíó in May 2017 with actors Hilmir Jensson and Birgitta Birgisdóttir and original music by Harpa Fönn Sigurjónsdóttir. Constellations by Nick Payne was originally shown in 2012 at the Royal Court in London has since then taken the world by storm. Since then it has been shown all over the world and played by great actors such as Ruth Wilson and Jake Gyllenhaal. The play is unique in its story structure but what really captures audiences from all these different countries is its sincerity and deep humanity. Stay tuned! In May 2016 Árni Kristjánsson directed The Human Ear by Alexandra Wood as a part of The Director's Cuts Season at the Bristol Old Vic Theatre School. The whole run was sold out and the cast & crew were outstanding. Working on this production sparked the idea for The Lakehouse Theatre Company. The theatre group works internationally and focuses on contemporary texts. 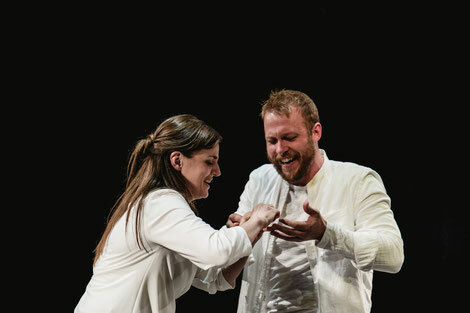 In June Lakehouse Theatre Company participated in an Icelandic opera festival, Operadays in Kópavogur, with a premiere of an original story by Árni Kristjánsson that joined a selection of well known arias and opera numbers into a heartfelt story line about opera's favourite themes love and loss. 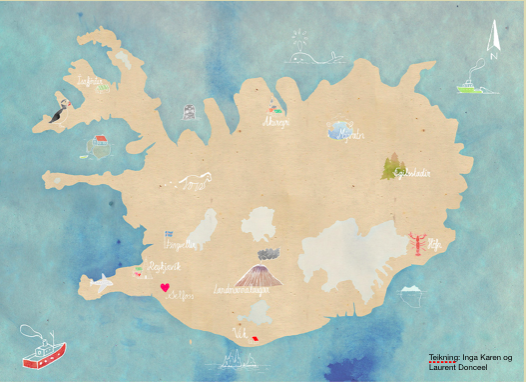 Lakehouse Theatre Company is an international company with a base in Bristol and in Reykjavík, Iceland. In our work we play with language and perception of reality. We are deeply inspired by absurd theatre but we don't expect our audience members to be scholars in theatre or literature theory. We aim for sincerity and enjoy being creative and theatrical in our work. We tell personal stories with strong social contexts. Our first season starts by taking The Human Ear and The Selkie on the road while other exciting future projects are in the pipelines. We look forward to seeing you in the theatre!